Strongman-turned-MMA fighter in the heavyweight division who earned victories over Bob Sapp and former UFC fighter Sean McCorkle. He began training in Kyokushin karate when he was 11 years old. His first MMA loss came against former UFC heavyweight champion Tim Sylvia. 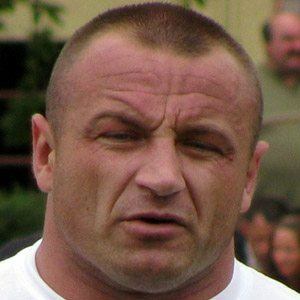 His father Wojciech was a competitive weightlifter. His victory over Bob Sapp came in the first round; after landing some solid strikes on the feet, he dumped Sapp onto the mat and unleashed a series of blows to force the stoppage.